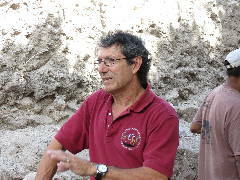 Within Corozal Town city limits is an area known as Santa Rita Layout, or Santa Rita Hill. 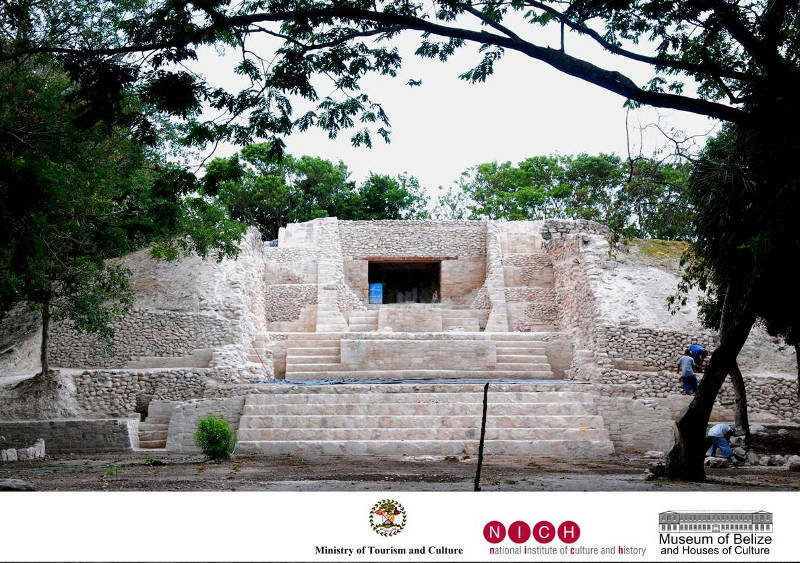 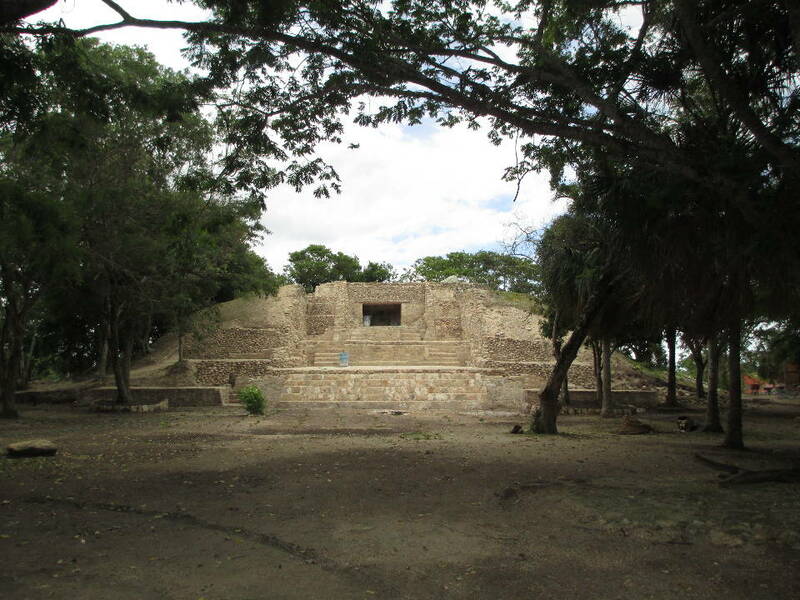 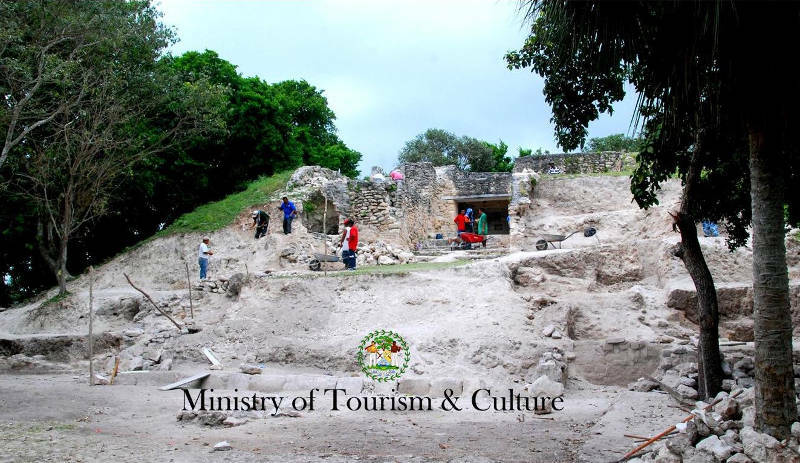 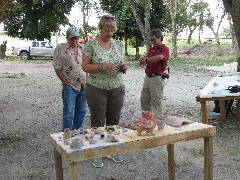 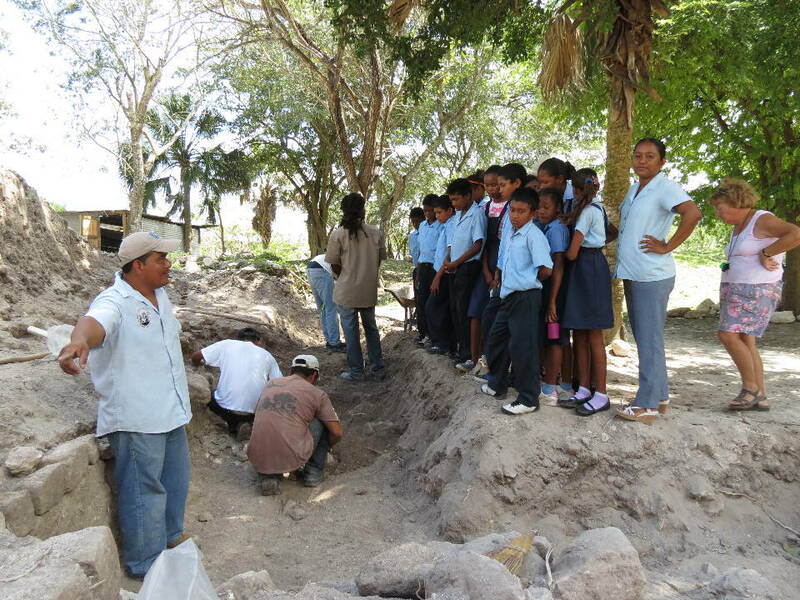 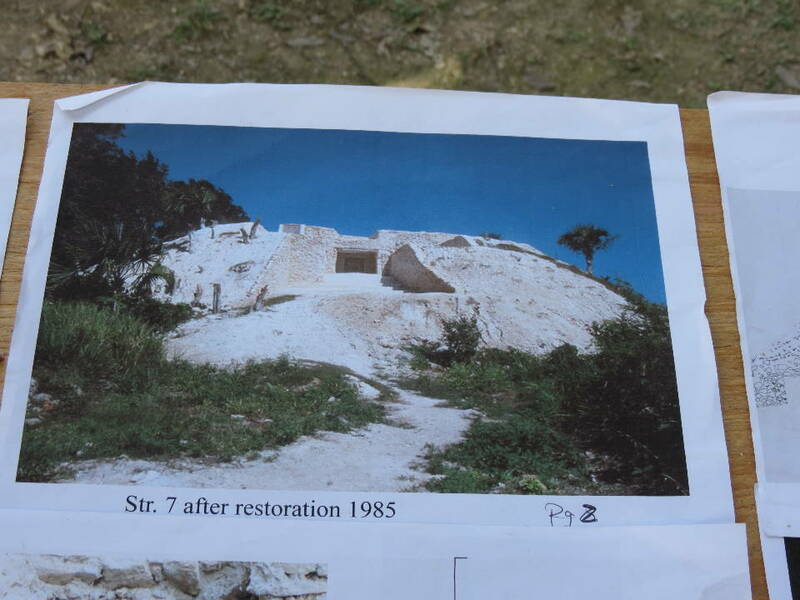 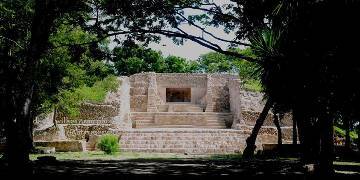 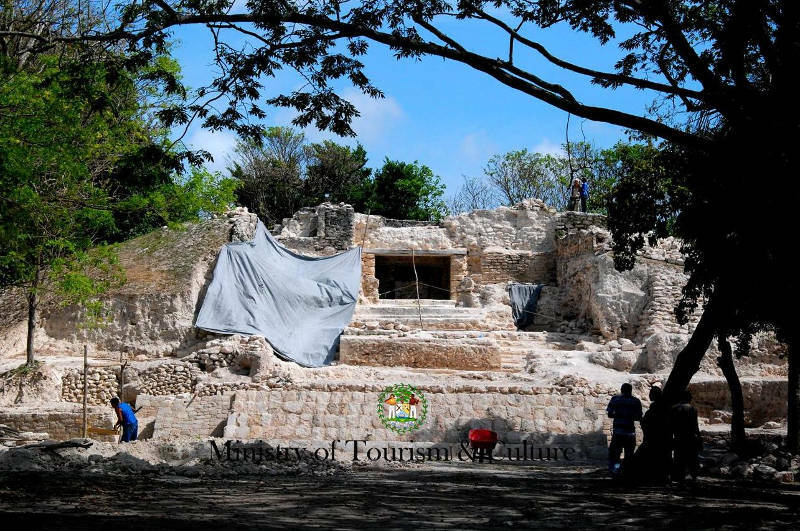 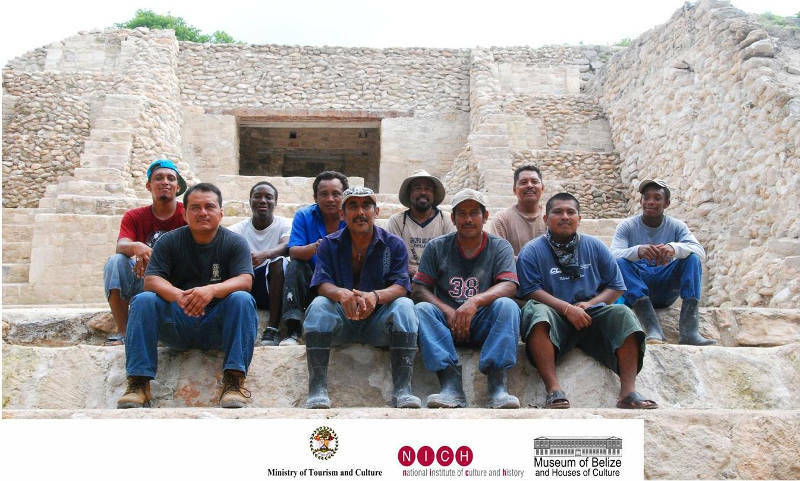 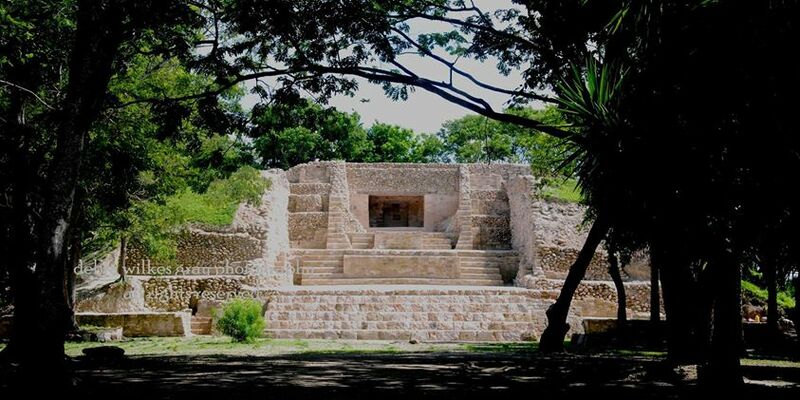 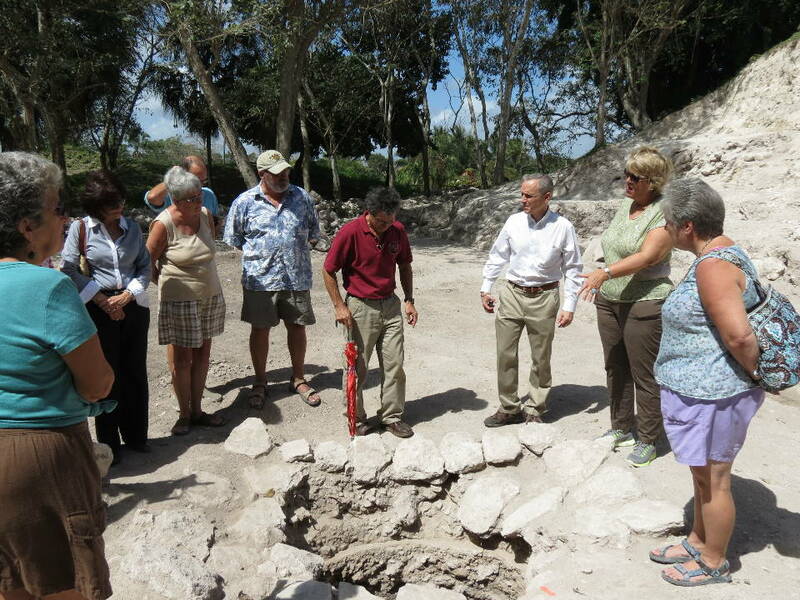 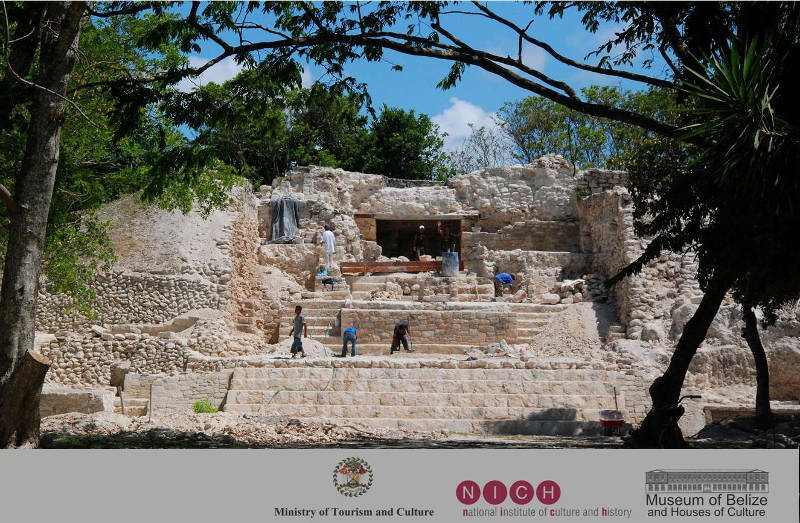 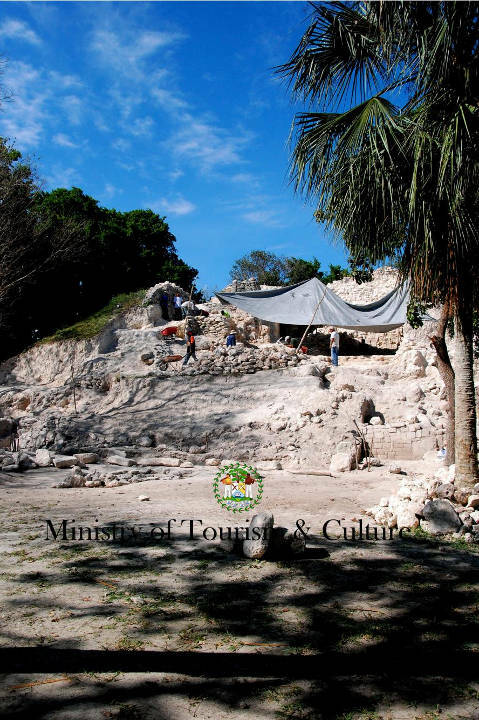 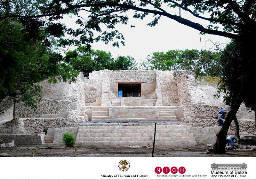 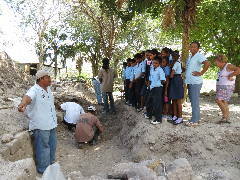 The central attraction of this area is a mound that includes the Maya site and an archeological reserve, including a partially reconstructed Maya temple. 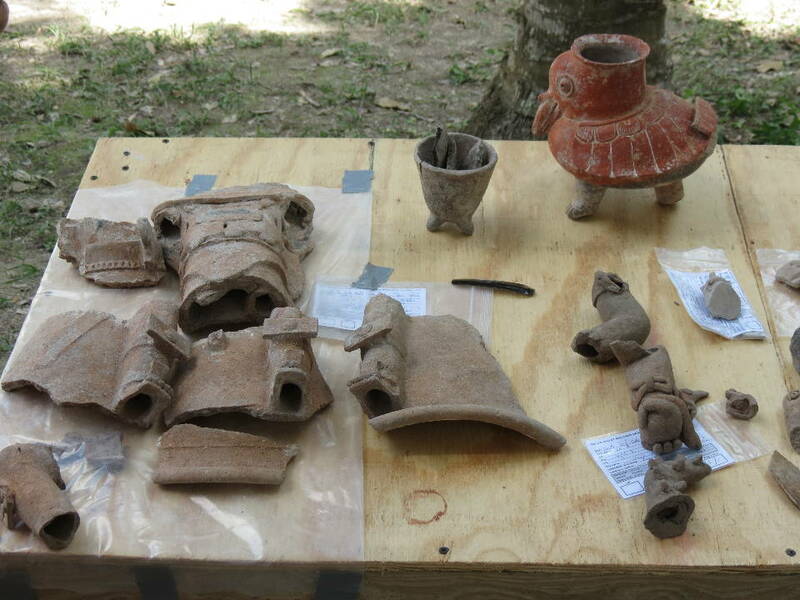 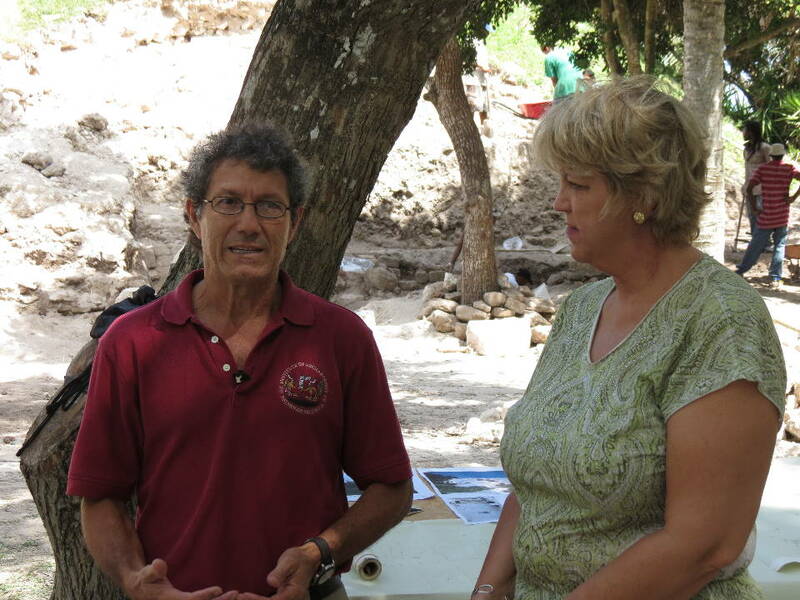 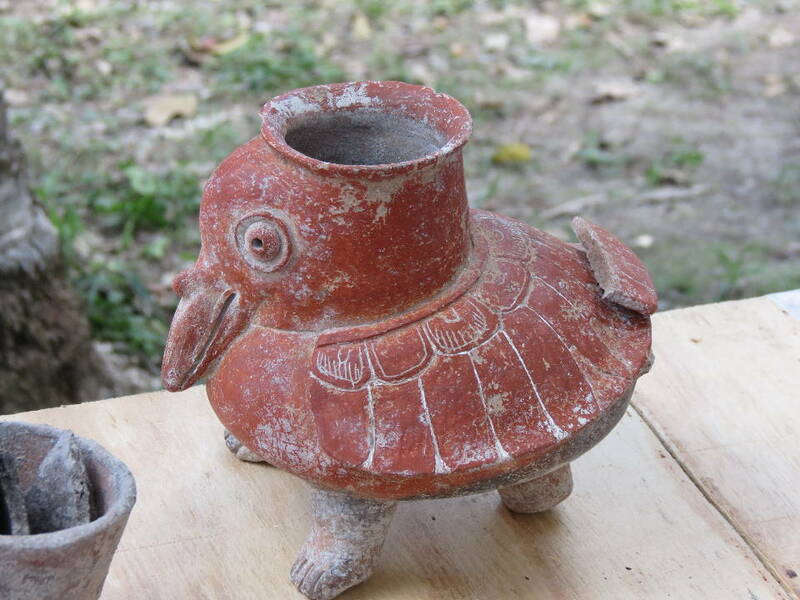 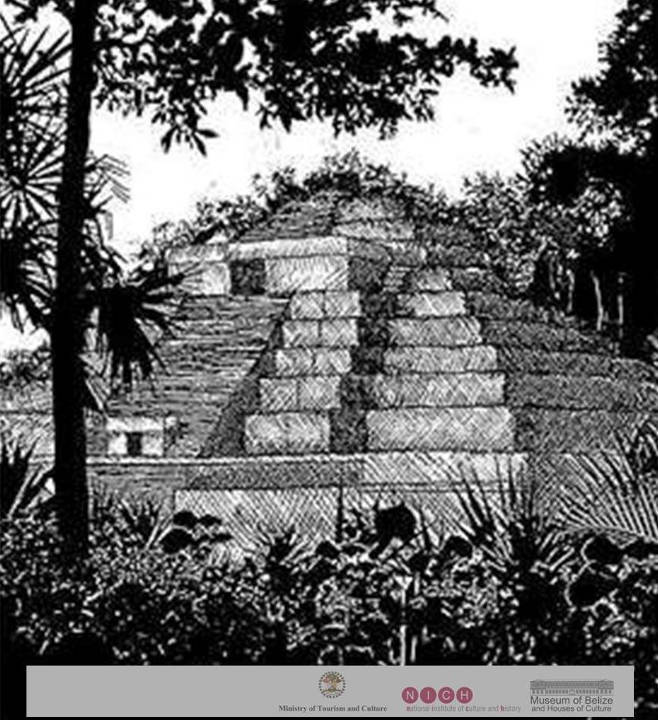 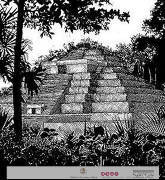 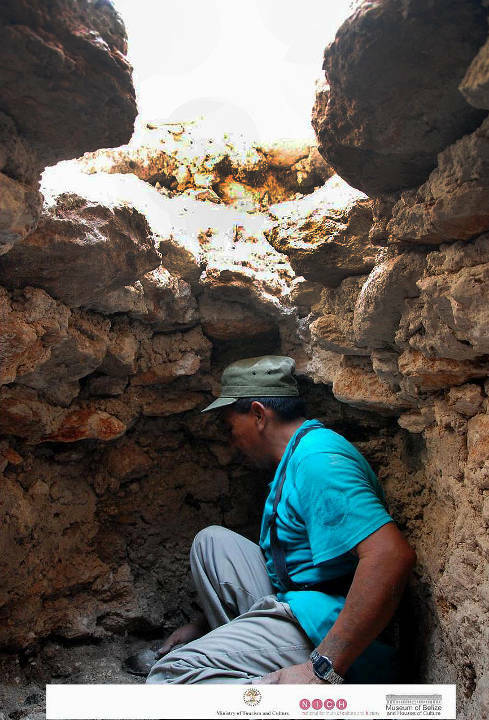 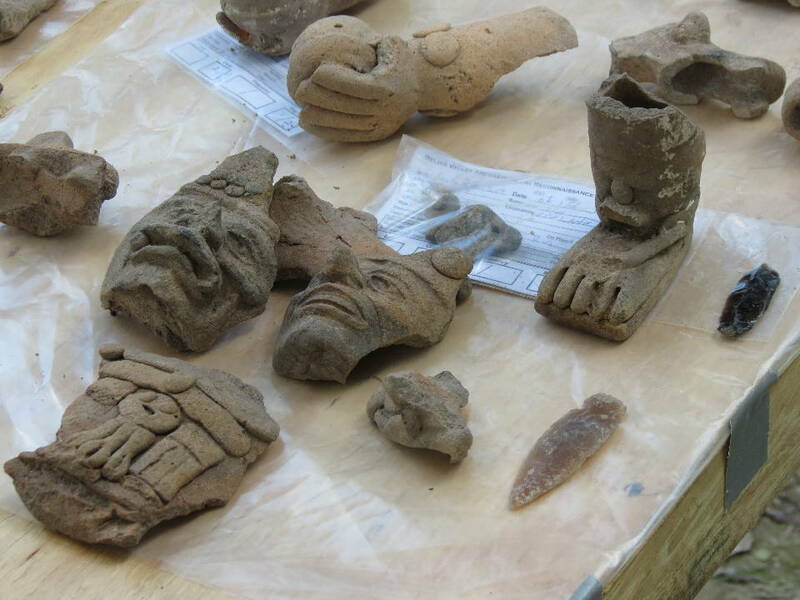 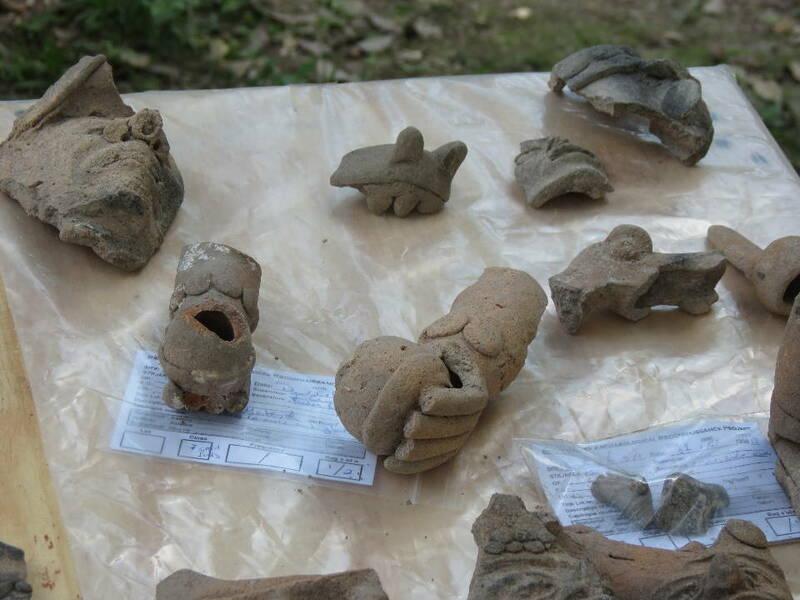 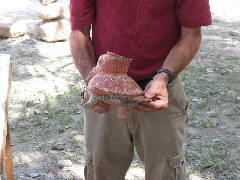 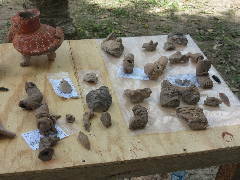 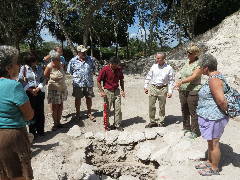 Maya artifacts date the beginnings of this city at between 2000 and 1200 BCE. It was the dominant settlement during the Early Classic period (about 200-600 CE and peaked during the Postclassic era (about 900 to 1519 CE). 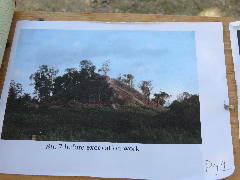 The image to the right is an unknown artist’s idea of what the temple may have looked like. 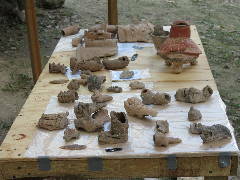 The following are photos taken by Debra Wilkes Gray under contract with and courtesy of NICH. 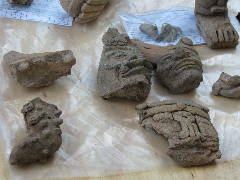 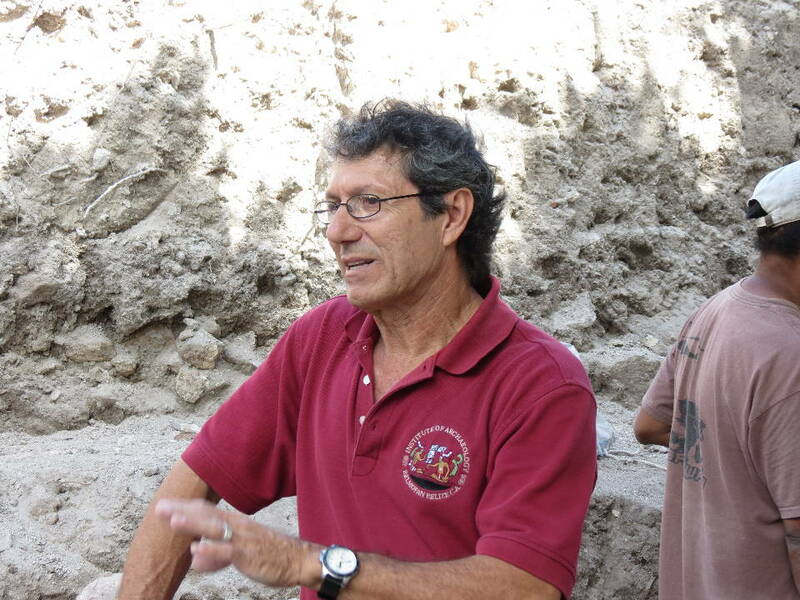 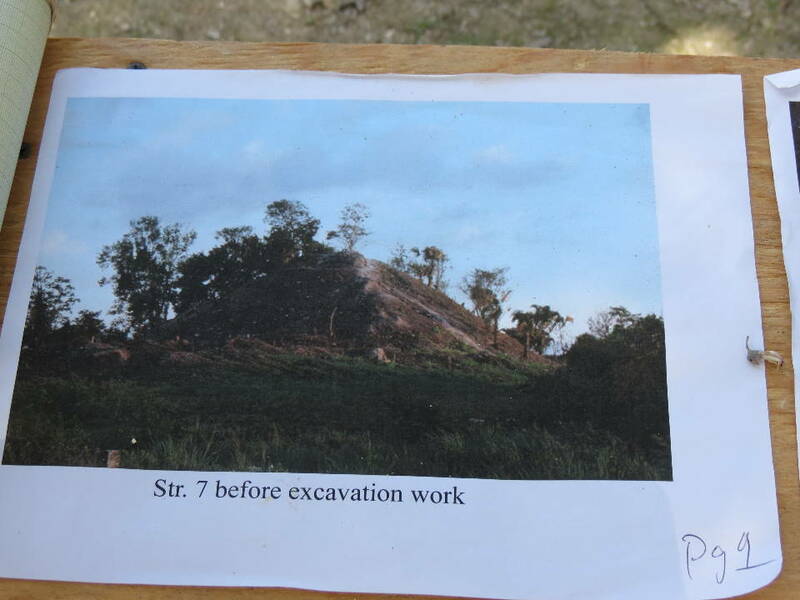 Printed from https://chactemal.com — Santa Rita Archaeological Site.